Stefan Löfven – You not only betray Seyfo victims but also Swedish democracy! 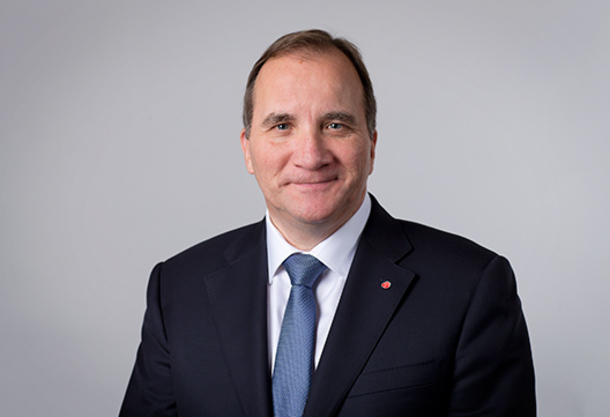 It has now passed 3 weeks since Swedish Prime Minister Stefan Löfven visited Södertälje for labor day celebration. Swedish public service channel, Svt-Södertälje, asked him an important issue affecting approximately 1/3 of Södertälje’s population and at the same time close to 2% of Sweden’s population. The question was whether the Social-Democrat led government would fulfill its Congressional decision of 2009 and acknowledge Seyfo 1915 as a genocide. Nearly 200,000 Assyrians / Syrians / Chaldeans lives in Sweden about 33,000 of them in Södertälje. Sadly, it is the tragic memory of 1915, which has been transferred from generation to generation, one of the most important identity-bearing markers among this people. Recognition from the environment is an acknowledgment of the existence of the people’s group in its area of origin. At the 2009 Social Democratic Congress in Älvsjö, Congress adopted after a very long debate because of the complexity of the question that the persecution, deprivation and assassination of Armenians, Assyrians / Syrians / Chaldeans and Pontiac Greeks in the Ottoman Empire in 1915, which resulted in approximately 2 million deaths recognized as genocide (Seyfo). The following year 11 of March 2010, the Social Democrat party pushed this issue into parliament and adopted the same decision there. Despite both the congressional and parliamentary decisions, Löfven response to SVT, was very strange, was a no, that the government has no intention of pushing this through a refereeing to the “complexity of the question”. The reaction to Löfven statement on social media did not last for too long: National federations, associations, churches, established politicians, party members as political opponents, candidates for different parties and ordinary citizens, both ethnic and non-ethnic Swedes, have reacted and still do in different ways. In my opinion Löfven, through this strange statement, denies Swedish democracy. As party chairman, Löfven should follow his party’s congressional decision! As Prime minister, Löfven should follow the parliamentary decision. Democratic decisions, whether it is a party congress or parliament, must be followed by the head leaders in the first place. Otherwise, there is room for arbitrary and subjective action that does not fit into the Western democracy tradition to which Sweden belongs. In addition, Löfven, in an interview with Assyria TV 2014, stated that he, as prime minister, has the task of accepting the Parliament decision. 1. Everyone’s equal value: would Löfven dare to deny the Holocaust? 2. Justice: does Löfven treasure the relationship with Turkey higher than justice and 2% of its own population? 3. Solidarity: how can Löfven feel greater solidarity with the perpetrator than the victims? 1. In what way can a historical issue become more complex today than it was 2009 and 2010 or already more 100 years ago? Has there been new research showing that Seyfo did not occur? 2. Has the complexity of the question increased due to Swedish foreign policy and Sweden’s relations with Turkey? If so, what is the relationship with Turkey that the Prime Minister wants to protect? 3. In Sweden, it is against the law to deny the Holocaust. In France it is illegal to deny the 1915 popular murder! Mr Prime Minister where is your civil courage? Why does the Prime minster make the recognition of the genocide Seyfo a matter of relation of today and not what really happened 1915 ? Mr. Prime Minister: It’s time to make up with the dirty belly of history for the future! International community should not ignore the genocide against Christians in Nigeria!